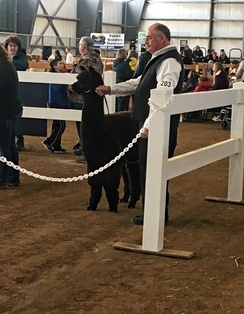 Hats off to the Pennsylvania Alpaca Breeders Association (PAOBA) for putting on a wonderful show! As this was our first time attending the show at their new venue, we weren't sure what to expect. 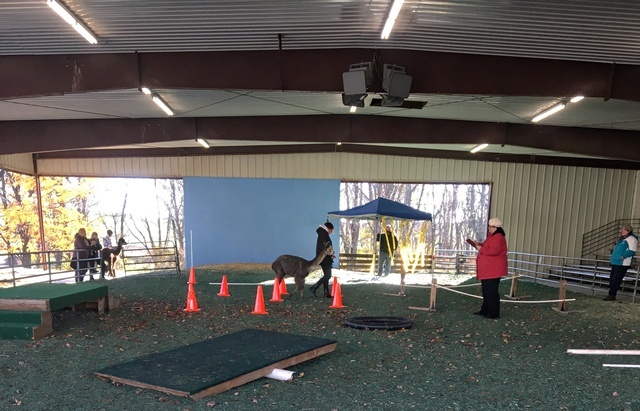 We were pleased with the animal friendly setup which made our alpacas feel more at ease than the traditional arena setups with concrete floors. We know how much work it takes to put one of these shows on and the volunteers are to be commended. The hospitality we were shown was great and much appreciated. While our single entry didn't place as well as we had hoped, we still had a good time seeing many of our friends and colleagues at the show. 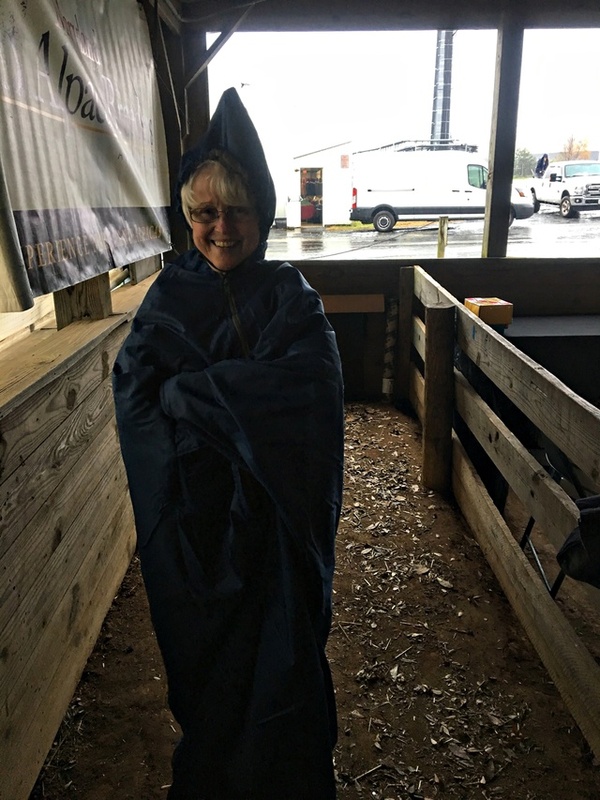 One of the highlights of the show was getting to meet Jan, from Openherd who has been one of the most helpful people in the industry for us! She and her husband are super nice, down to earth people and it was great to put a face with the voice on the other end of the line! We did get positive comments on Lucky Lady from the judges and know what to be looking for when it comes time to choose a male for her breeding. 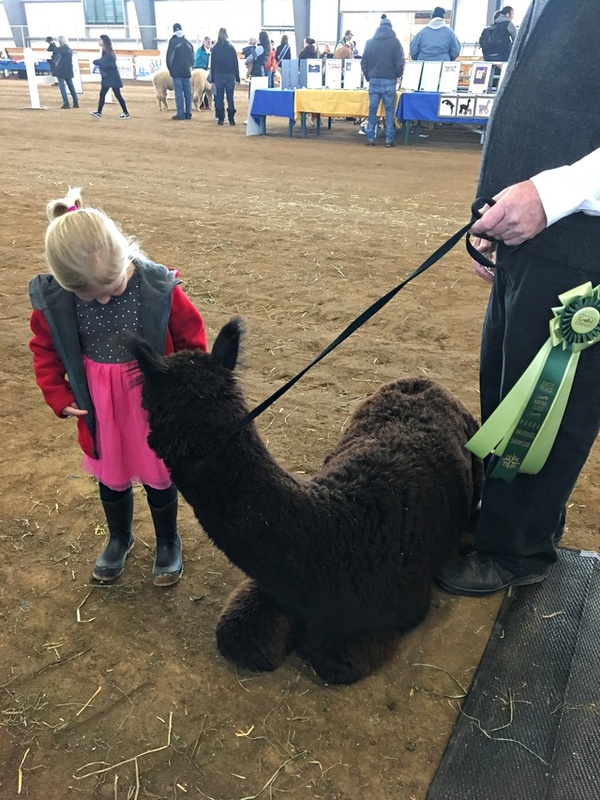 For us, this really is one of the most important reasons we bring our alpacas to shows. We now are looking forward to the MAPACA Jubilee/Gala held in Harrisburg next month. We'll be bringing some of our younger animals to get an assessment of them there. Coming up will be shearing, then birthing and breeding season. Never a dull moment and wouldn't want it any other way! Eleven years and we still love "The Alpaca Lifestyle"! 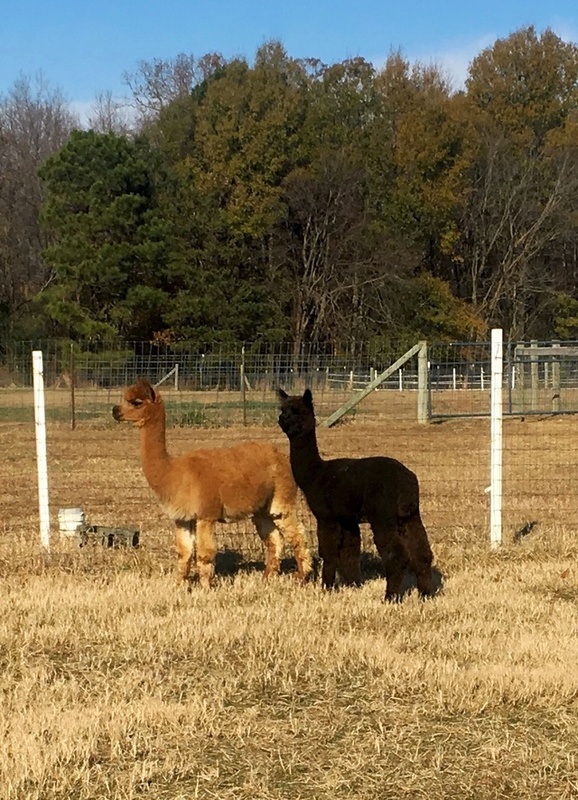 We recently had a nice couple call us interested in purchasing alpacas. We set up a time for them to visit and spent a couple of hours answering their questions, finding out what it is they are looking for, and explaining the ins and outs of what is involved in caring for the animals. We showed them several good candidates for their situation , proven females that have calm temperaments and are great mothers. 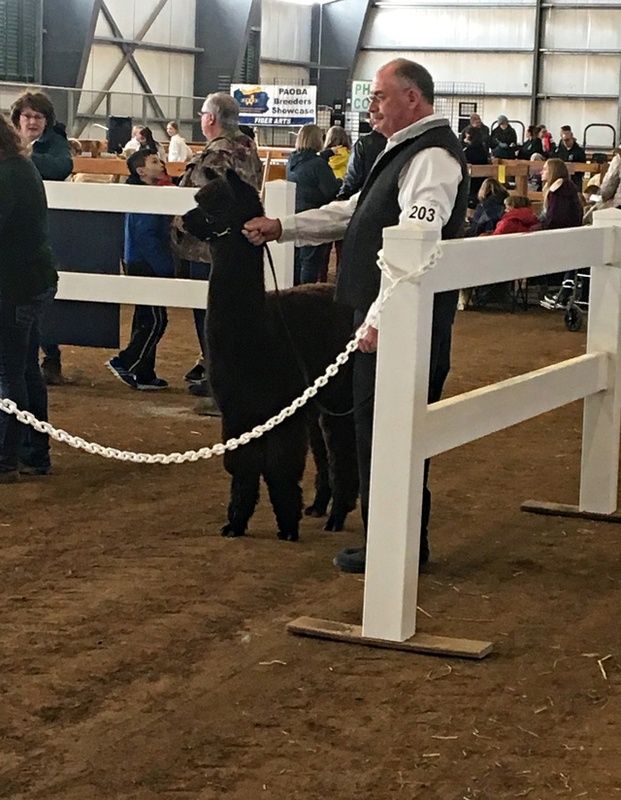 One of the topics we stressed was the need to have more than one alpaca as they are herd animals and would become very stressed by themselves. Afterwords they contacted us wanting to purchase one alpaca who is pregnant and due in the spring with the idea that her and her cria would constitute a herd and she would be fine. I tried to explain that this would not be good for the alpacas and would cause them to be stressed and insecure and suggested that they get at least one more alpaca for companionship. The response to this suggestion was that "We don't want that many." I answered by telling them I was sorry, but would not be able to sell them one alpaca . As a responsible breeder I could not sell one alpaca and her cria alone to someone that did not already own alpacas as a concern for the well being of the animals. Alpacas are a herd animal and need companions in order to feel secure. I know they have visited several other local farms and do plan on purchasing an alpaca somewhere. I can only hope that others will put the animal's welfare first and not sell an alpaca under these circumstances. We all want to make sales, but the alpaca's well being must come first. I couldn't live with myself if I sold this poor alpaca knowing it was going to be alone with just its cria for company. 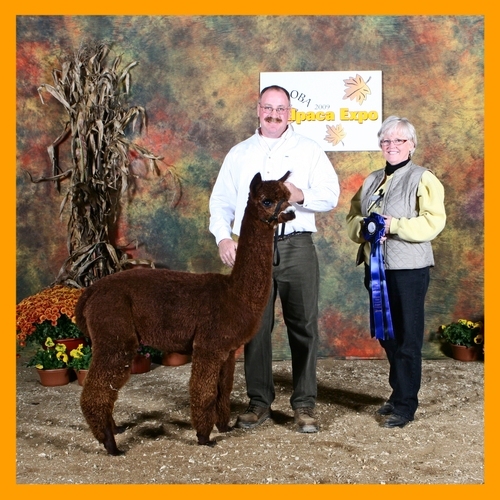 Over the years, it has been our pleasure to help many new breeders get started raising alpacas. 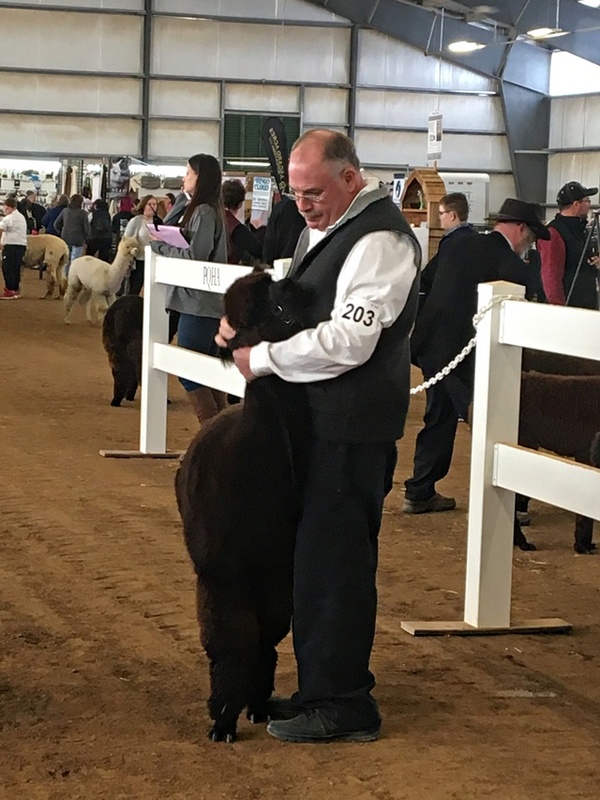 One of the most rewarding facets of the business for us is mentoring our clients and helping them avoid some of the mistakes we made as new breeders. Overall, our experience has been extremely positive. Occasionally we run into situations like this and it can be frustrating and honestly makes me sad thinking of the poor, lonely, scared alpaca kept by themselves. At the end of the day, while I am worried about the alpaca they end up with, I feel good about my decision. We had a wonderful time at our Holiday Open House this year! Welcoming hundreds of guests to our farm and introducing them to our alpacas is always a fun and rewarding experience for us. We sometimes take our alpacas for granted as they're part of our daily lives. However, it's great to see the excitement when others meet alpacas for the very first time. 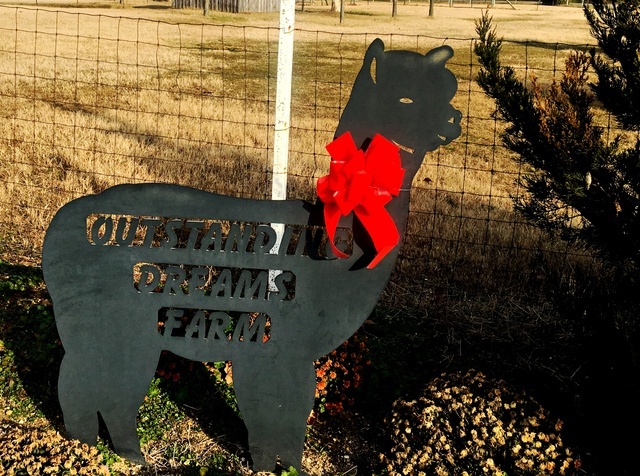 Visitors enjoyed meeting the alpacas and learning all about why and how we raise them, shopping for holiday gifts in our Alpaca Farm Store, visiting Santa and Mrs. Claus, as well as enjoying some great food prepared by Top Five BBQ and Baked Goods. 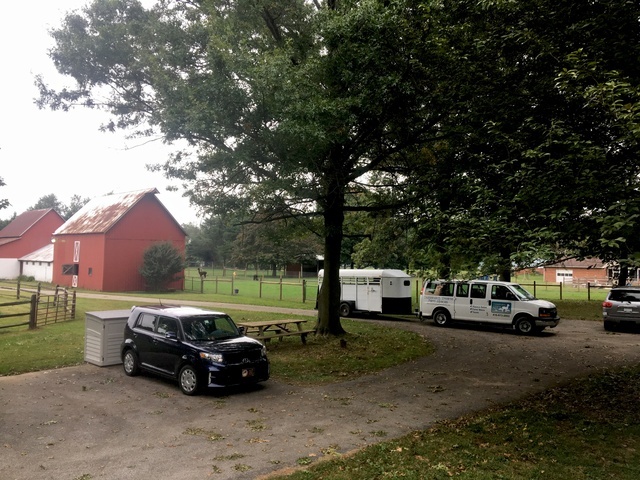 We're always happy to welcome guests to our farm and look forward to our next event! 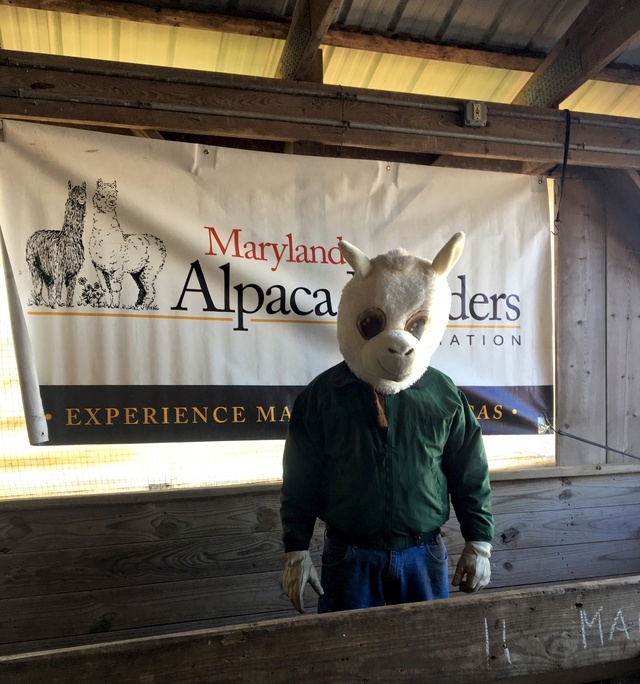 We had a fun weekend participating in the Maryland Alpacas and Fleece Festival this past weekend! 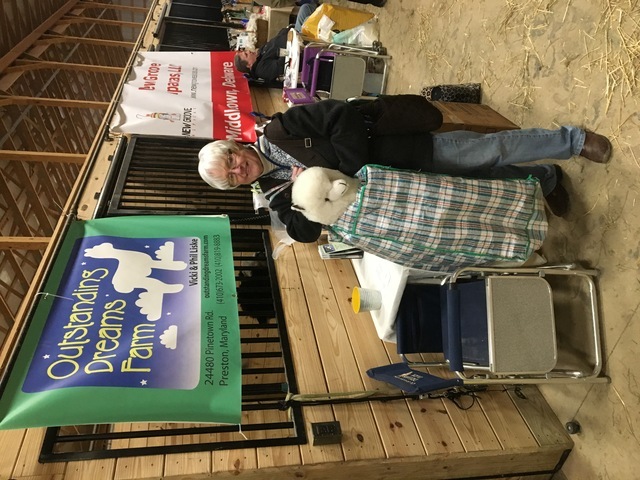 This was our first time participating as vendors, as in years past we served as volunteers manning the Maryland Alpaca Breeders Association (MABA) booth and helping out wherever we were needed. 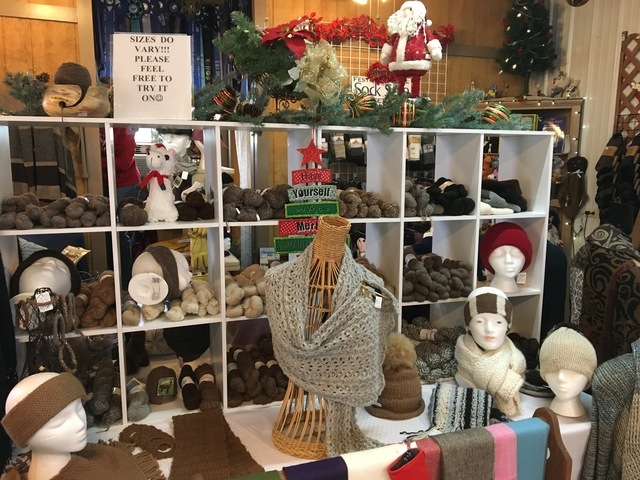 We had a great time spreading the word about alpacas and showing people the many wonderful products made from their fiber. Sales were brisk, (as was the weather!) and many people were fascinated to learn about our alpacas. We had so much fun spending time with several close friends and meeting new people! It was also nice just to have a weekend off the farm and get a break from our daily chores. 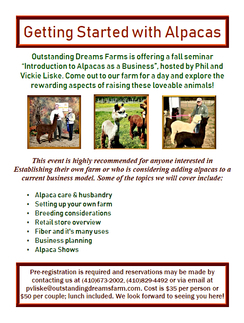 This annual event is put on by the Maryland Alpaca Breeders Association of which we are members. 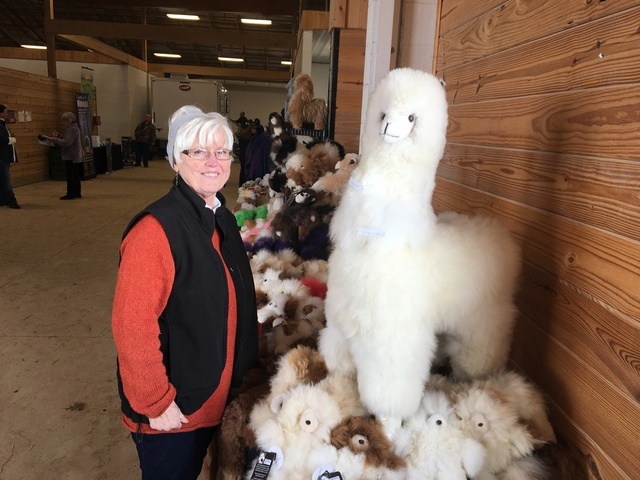 It''s a great opportunity for our members to show off their alpacas and to offer the products they produce to the general public.It also is a great opportunity to promote the alpaca industry within the state of Maryland which is actually part of MABA's Mission Statement. We look forward to coming back to the Festival next year and meeting more wonderful new friends! 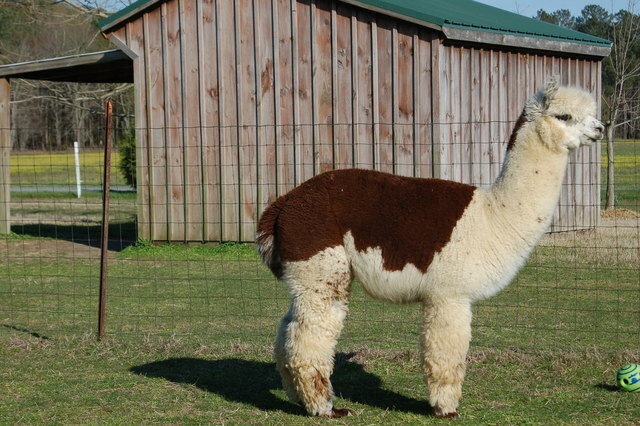 That's a funny lookin' alpaca! 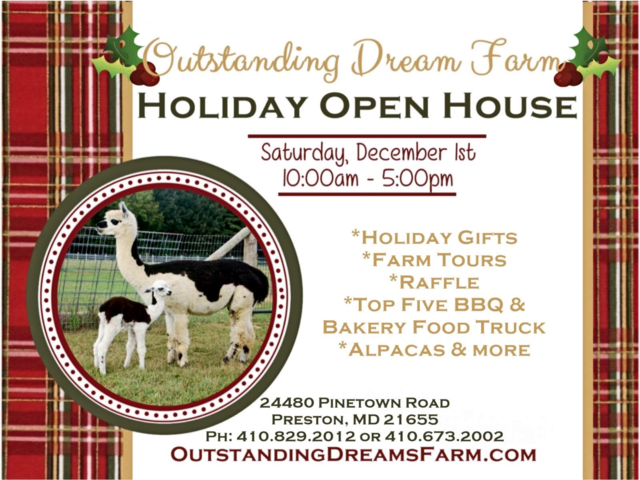 Join us for a wonderful shopping experience and opportunity to visit our farm on Saturday, December 1st for our Annual Holiday Open House. 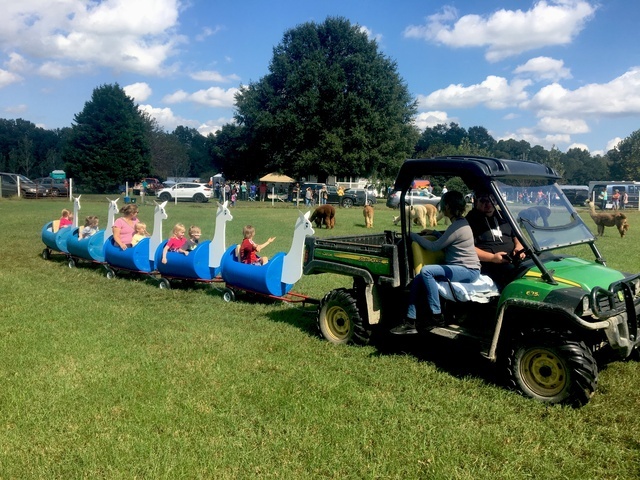 Held in Preston on Maryland's eastern shore, this festive event takes place from 10:00 am until 5:00 pm. Enjoy strolling the farm, seeing our friendly alpacas and shopping in our Farm Store while the kids enjoy visiting with Santa. 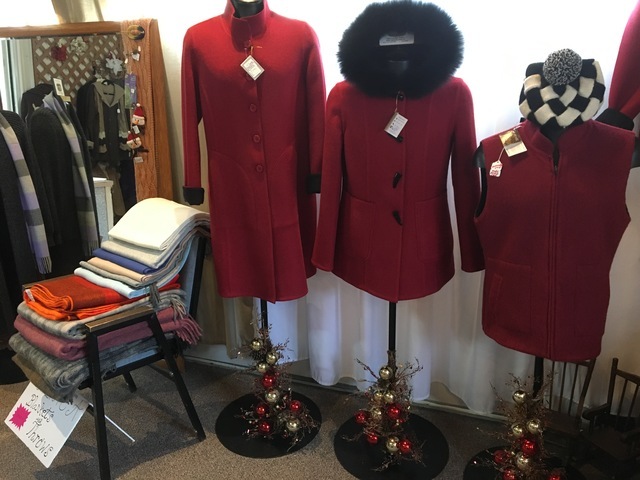 Our retail store offers a wide range of fiber products, apparel and accessories crafted from the luxurious fleece of alpacas, providing an excellent option to purchase gifts of quality such as gloves, soft blankets, yarn from our own animals and the ever-popular alpaca socks! 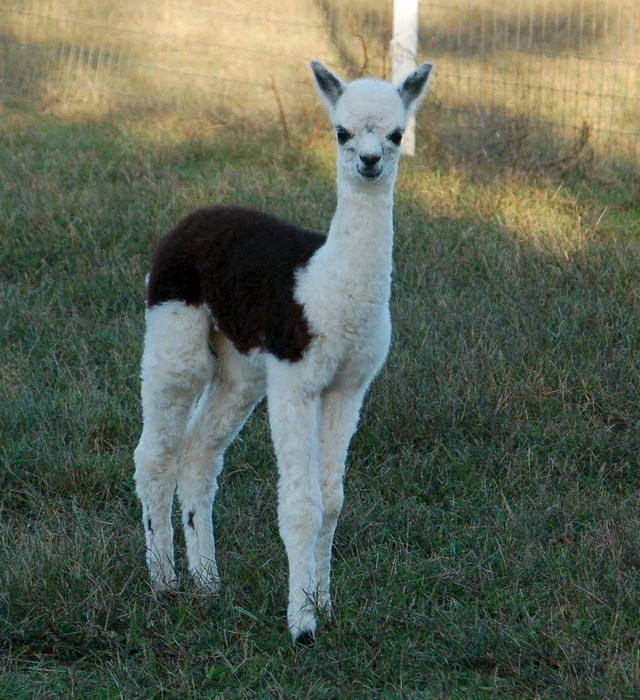 Questions about alpacas? Owners Phil and Vickie will be on hand to answer questions about these lovable creatures and you can even see the animals up close. Don't forget to bring a camera for some great photo opportunities! We're so excited to introduce the newest member of our herd! Please welcome Outstanding Dreams Gabriela. 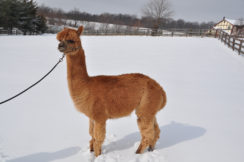 Gabbie is so named as she's the gabbiest alpaca we've ever known! I actually heard her before seeing her. She really is one Gabbie Girl! What is so exciting about Gabbie is that her sire and dam have now combined to give us three consecutive Pinto patterned offspring. Gabbie has an older sister and brother who are almost identical to her, ODF Annie's Minnie Me and ODF Rebel's Rebellion. 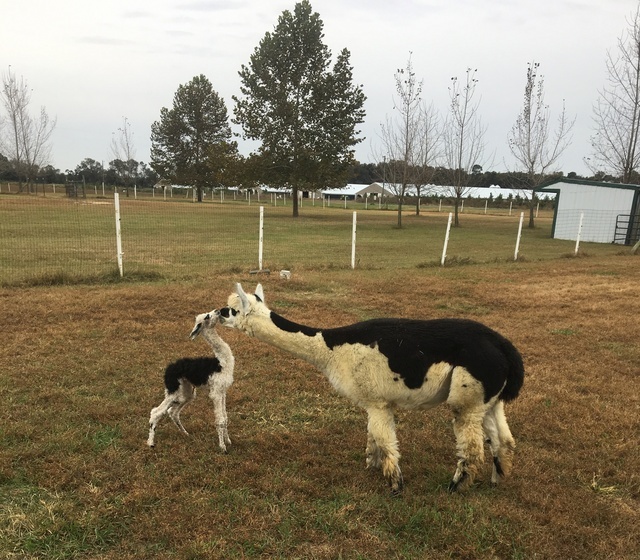 Her dam, Anticipation Annie was actually the first cria born at Outstanding Dreams Farm, so of course, that makes her special to us! We purchased Clear Mountain's Painted Rebel specifically to breed to Annie in hopes of producing a knockout Pinto patterned offspring. This turned out to be the perfect combination as they have now given us three beautiful Pintos in a row! 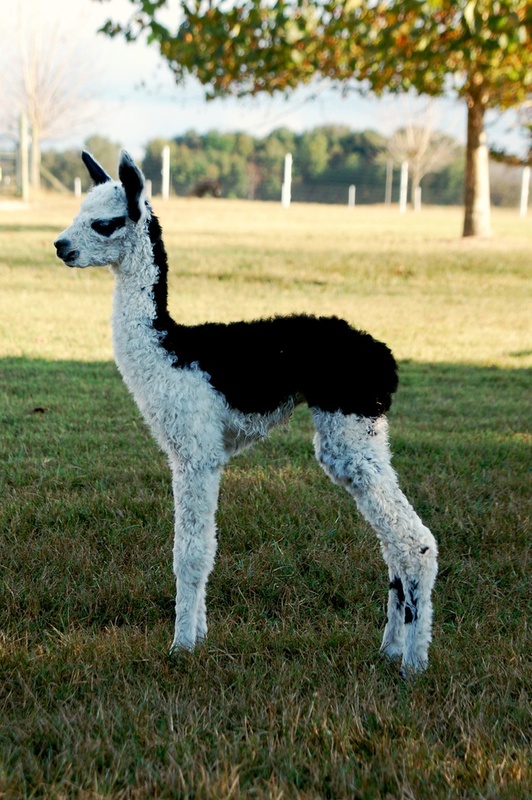 We can't wait to see how this little cria turns out and will be sure to keep you posted! Ryan and Christina's big day! What an exciting and unique way to spend the day! 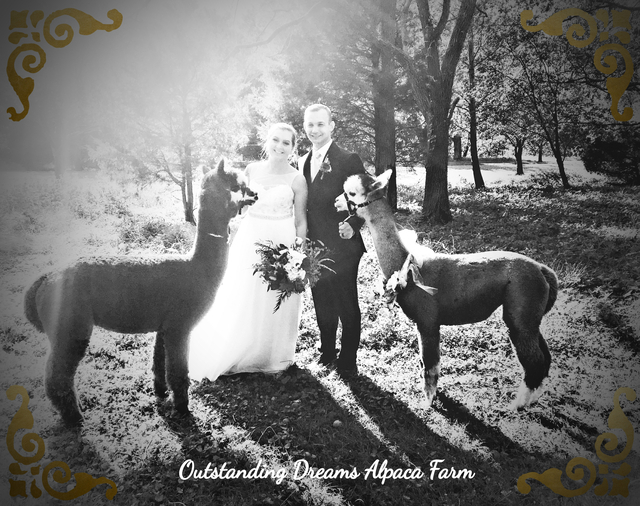 Once again, we were delighted to bring our alpacas to be part of a wedding celebration. 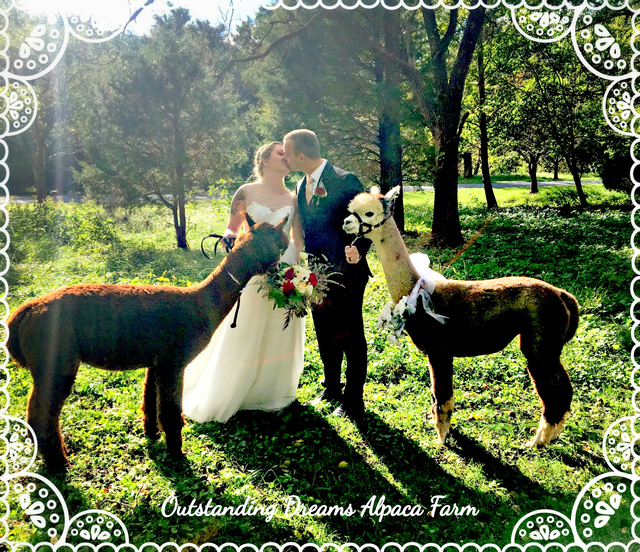 It's such a fun and exciting experience for us as the alpacas are so popular and bring happiness to so many people attending the wedding. This is actually the third wedding we've been a part of, so now, we're kind of getting the hang of it. 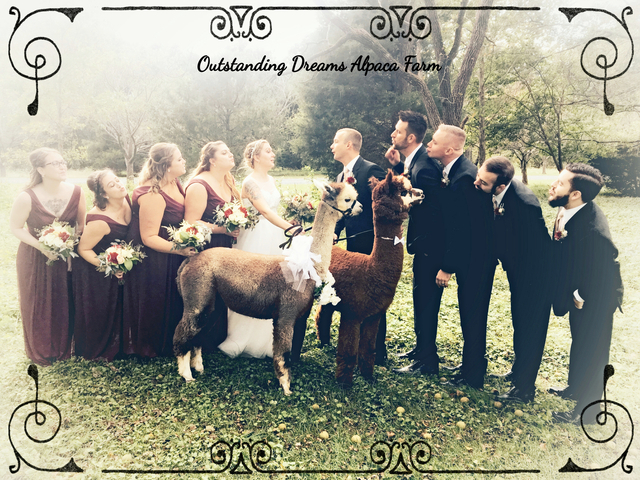 The alpacas are always part of the wedding photos with the bride and groom, as well as the wedding party and guests. We then mingle with the crowd, allowing visitors the chance to meet the animals and pose for individual photos. Our male, Miracle, is a natural at this and warms to the occasion! He's had two "brides", Minnie Me, who now lives at another farm, and Gift, his latest "love". We enjoy doing quirky , out of the ordinary things so this is a good fit for us. 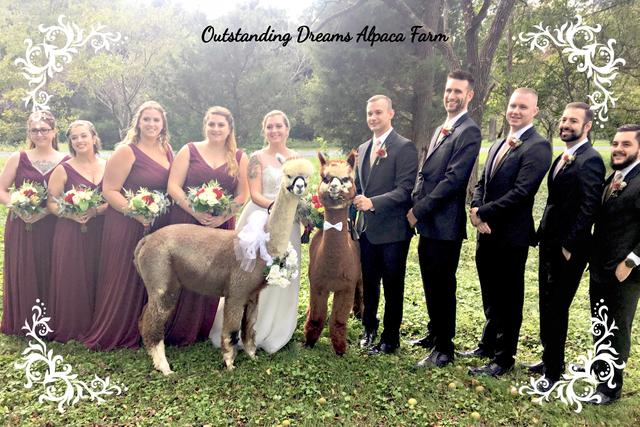 If you are considering holding a special occasion or event and trying to settle on just the right touch, perhaps alpacas might be just the thing! 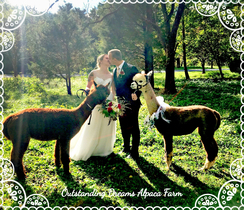 Feel free to contact us via email or phone to find out more about an "Alpaca Adventure" for your big day. A picture's worth thousand words! Our tagline is "Let us fulfill your Outstanding Dream". Today we got to do just that! 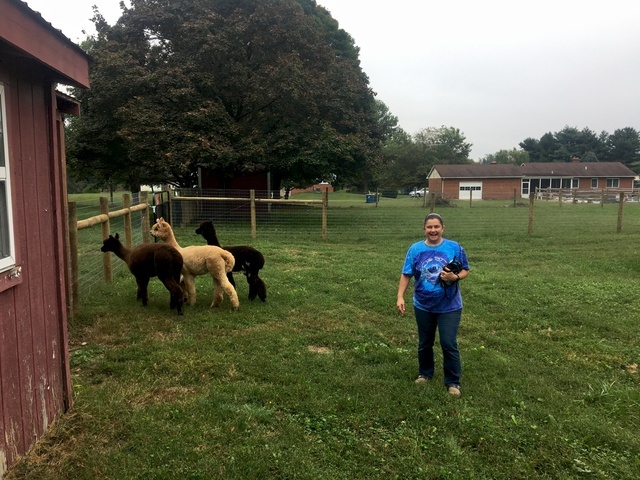 We delivered three of our alpacas to their new home at New Groove Alpacas in Middletown Delaware. 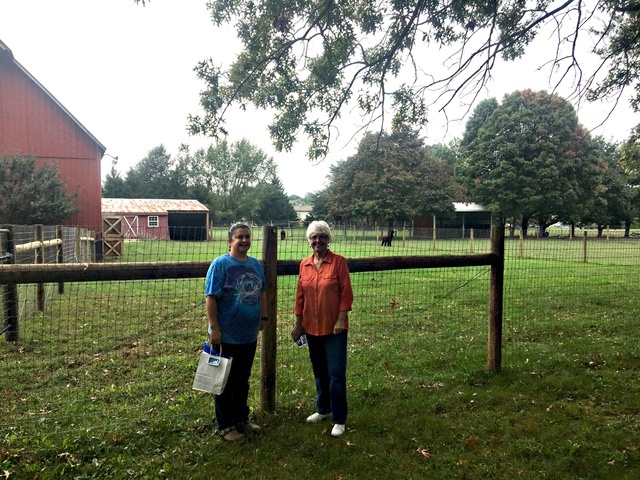 Bonnie and Scot are wonderful people who first visited our farm almost two years ago inquiring about entering the alpaca business. They made several follow up visits to our farm as well as visiting many other farms and attending various shows and seminars. We worked with them throughout their research phase answering questions and showing them how we run our business and care for our alpacas. 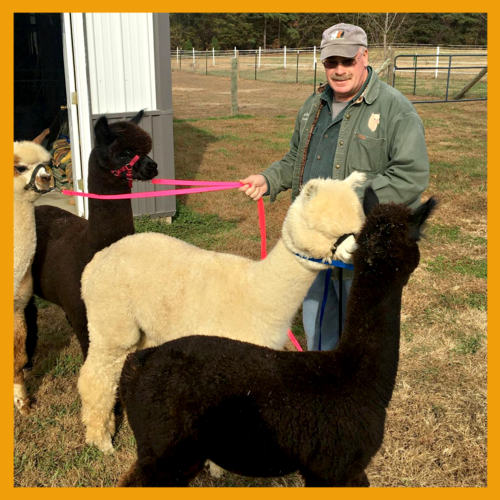 When the time came to purchase alpacas, they returned to our farm where we helped them select their starter herd. We feel honored to have been the farm they chose to purchase from and look forward to helping them along the way. 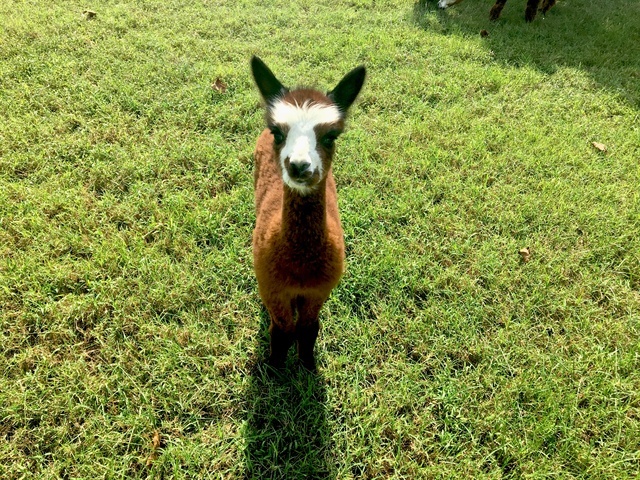 One of our favorite things is assisting new people entering the Alpaca world learn the ropes and fulfill their dream of raising alpacas! 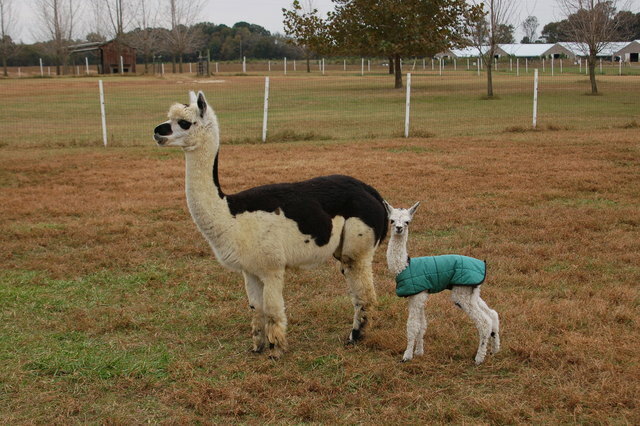 We love to share in the excitement and it reminds us of when our alpacas first arrived at our farm. 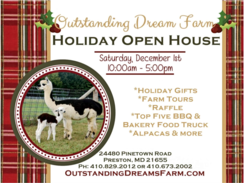 It's hard to believe that we've just celebrated our 10th Alpaca Farm Festival and Open House here at Outstanding Dreams Farm! As they say, "Time flies when you're having fun!" And what fun we are having! We so enjoy hosting this festival and opening up our farm to the public. Each year we have droves of people come to enjoy a fun day at our farm learning about alpacas, shopping in our Alpaca Farm Store,enjoying good food, live music, children's activities, and a variety of craft vendors. It's such a pleasure for us as we introduce many people to alpacas for the first time and explain to them why they are raised. For many, it truly is "Love at first sight!" We never imagined ten years ago that what started out as a little Open House would evolve into such a festival. 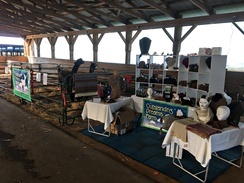 At our first event, we had a couple of small display tables with alpaca products, information on alpacas, and a couple of alpacas in a pen. We baked some cookies, and had soft drinks available for what we thought would be a small number of visitors. Boy, were we surprised when the guests started rolling in the driveway! Our alpacas were way more popular than we imagined and we were inundated with guests eager to learn all about these funny looking creatures! Each year our event has evolved, and now we welcome roughly 1500 -2000 visitors to our farm over the course of the weekend. 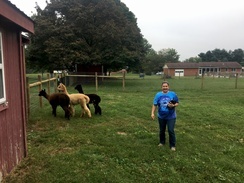 The alpacas are still the main focus of our festival, but we now include food and craft vendors, children's activities, and live music at our festival. A new addition to this year's event was the one and only Pacatrain Barrel Ride which was a huge hit with the kids(and adults)! Seeing and hearing the joy our visitors experience makes all the hard work we put into hosting this event worthwhile. 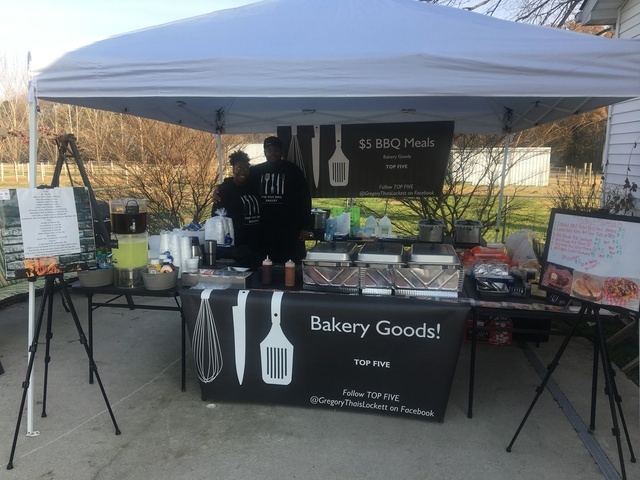 It really is a labor of love and our way of giving back to the community that supports our business year round. We're already looking forward to and making plans for next year's festival! 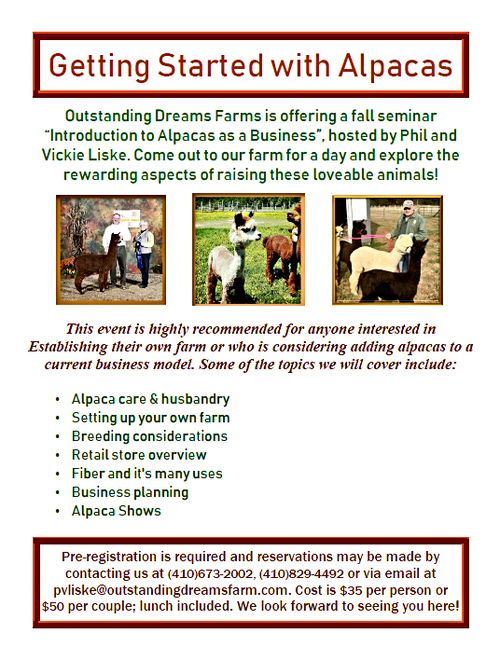 We are very excited to again be offering a business seminar here at our farm for those interested in alpacas. Whether you are thinking of adding a few animals to your current property as companions, curious about the possibility of starting your own farm, or looking ahead to building a business for the future, Vickie and I would be delighted to speak with you. Talking with those who fall under the spell of these sweet, calm and lovable animals is one of the best parts of our job, as we remember well how eager we were to start our own farm and know first-hand just how wonderful the experience can be. 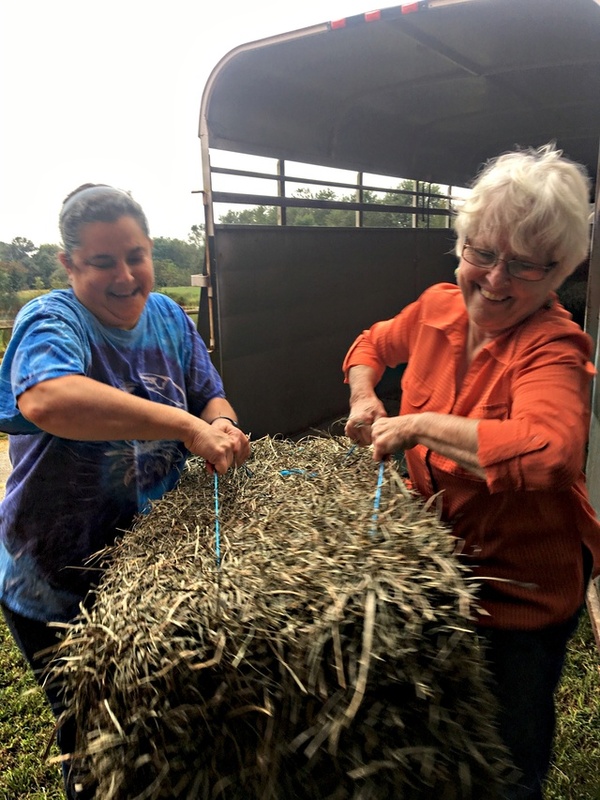 Ten years later we have amassed a wealth of information covering all facets of raising alpacas, and find that offering a helping hand, so to speak, is what we truly love to do. We believe our seminar is a great intro to this lifestyle as well as an enjoyable and educational way to learn in a small, comfortable group setting. Our goal is to share some of the joy we have found with our animals with you! To register, call or email us at the information below and we will get in touch as soon as possible. 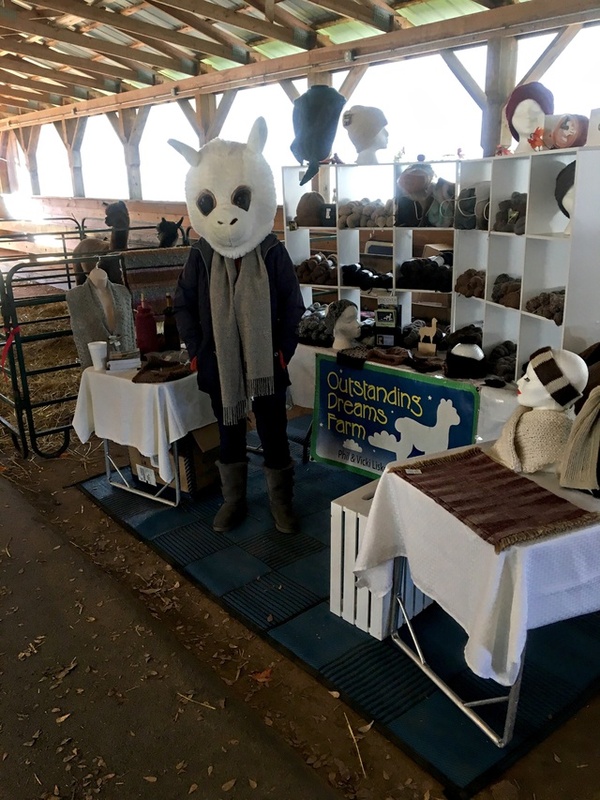 We would also like to note that as a courtesy to seminar attendees who become clients and select animals to buy from our farm, we offer an introductory credit of $150 on your first alpaca purchase.